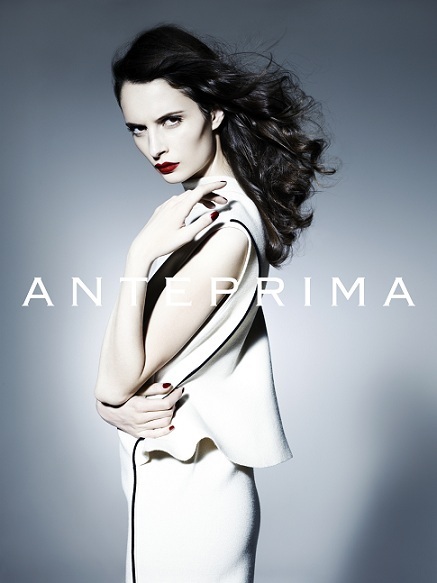 Anterprima FW2011 ad campaign walks you trhough a rendezvous within the magnificent forest, traces of her mysterious allure denotes splendor. Her movements are fluid and beautiful and her mind bold and daring as she moves around in the dark. The richness and grandeur of nature reinterpreted through soft and sculptural silhouettes in compact fine wool knitwear and doppio jersey. The metaphor of the forest intensified through materials that are abundant in texture Boucle, baby alpaca tweed and honeycomb construction to portray greater intensity and depth.